When we moved into our 1960s-era home, it came with a lot of vintage light fixtures. Some had enough mid-century modern style to keep as they were. Others were just a little too dated for the look we wanted. One such fixture was an elegant brass chandelier. It had hung over the table in a rather grand dining room, and while we quite liked it, its electrics were flaky and it just didn’t have enough “oomph” for the space. 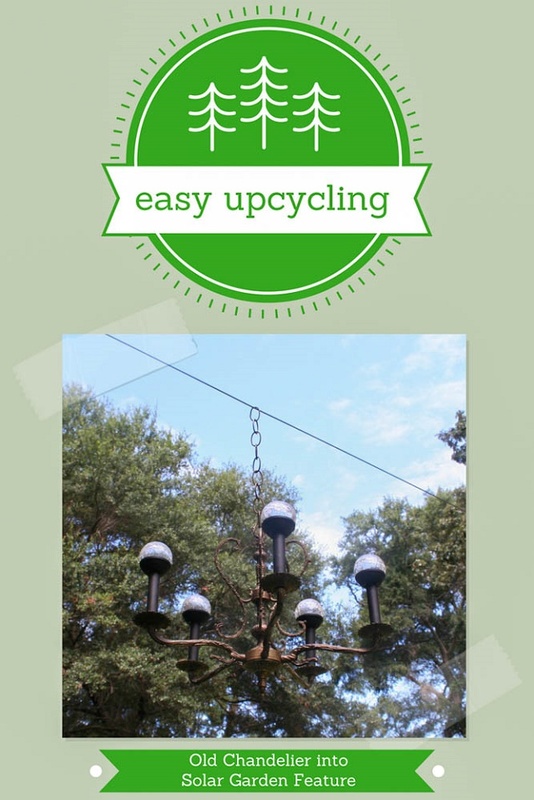 So, when we decided to invest in a beautiful new chrome and crystal chandelier for the dining room, I was determined to find a new use for this old chandelier by turning it into an elegant solar garden lantern.